At the 1878 Universal Exposition in Paris, Edouard Manet was asked which of all the painters then living would be best remembered in 100 years. 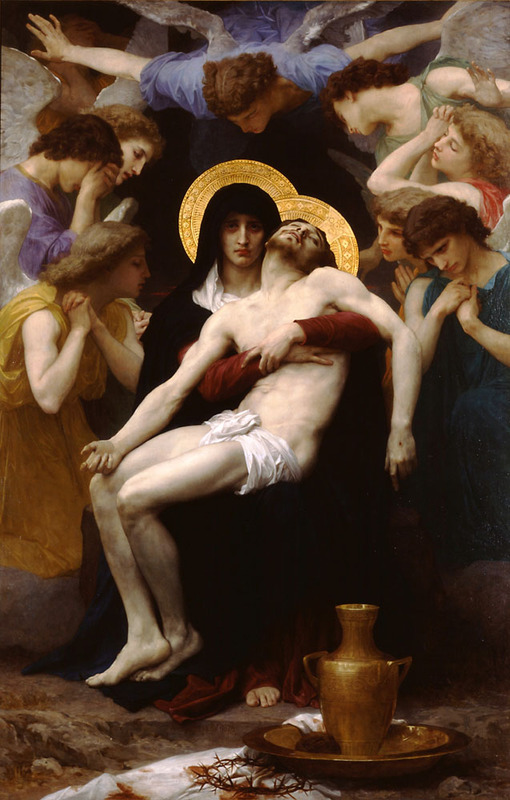 His answer: William Adolph Bouguereau. Manet (1832-1883) and Bougeureau (1825-1905) represented two polar movements in painting. Manet, regularly controversial in his work, had been the leader of the Impressionist movement and Bougeureau was the darling of the Academic tradition supported by the Ecole des Beaux-Arts in Paris. Thanks to Google Trends and Amazon.com, it is possible to get some indication of whether or not Manet's prediction, at least in comparison to his own work, has come true. 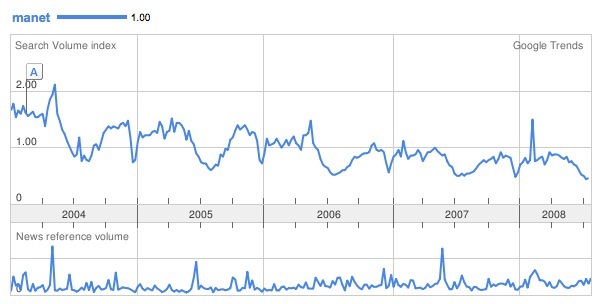 Google Trends of Manet searches from 2004 to 2008. Google Trends of Bouguereau searches from 2004 to 2008. At the time of this post, a standard search on Google.com produces 4,870,000 results for Manet and 1,140,000 for Bouguereau. An Amazon.com search produces 12,721 books for Manet and 1,071 for Bouguereau. The comparison of these two artists and their popularity through these methods is hardly comprehensive. But, it is one indication that Manet is more popular than he is prophetic. Maybe he was misquoted and meant 200 years. I'll follow up with another post then.